Our OEP Director has been asked about the effect the rain from folks who were concerned about it over topping. The pic below was taken today and show 6-7″ of freeboard. Click here to access the most recent depth survey of the sinkhole. The area to the west of Grand Bayou along Highway 70 that was part of the Mandatory Evacuation Order from the Bayou Corne Sinkhole has been re-designated to a Voluntary Evacuation Area. 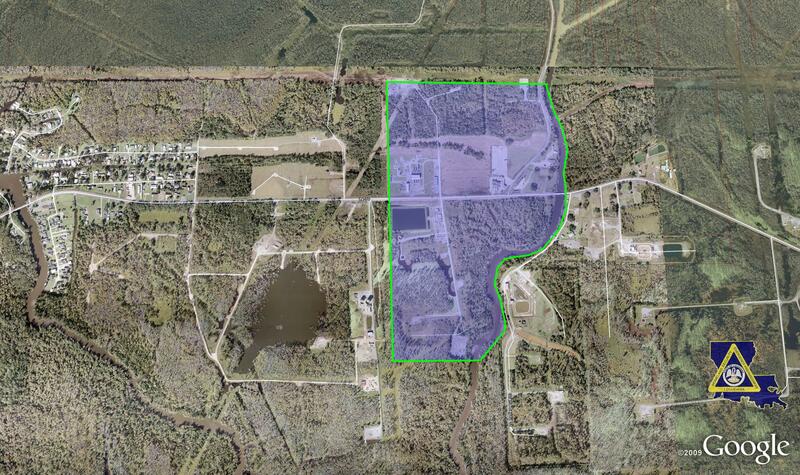 Attached is a Map of the area, which is from Grand Bayou (waterway) west to the Enlink Compressor Station Property as depicted on the map provided. The area is believed to be depleted of any risk from gas present and continued investigations will confirm that the gas is depleted from this area before the evacuation order is removed from this area.